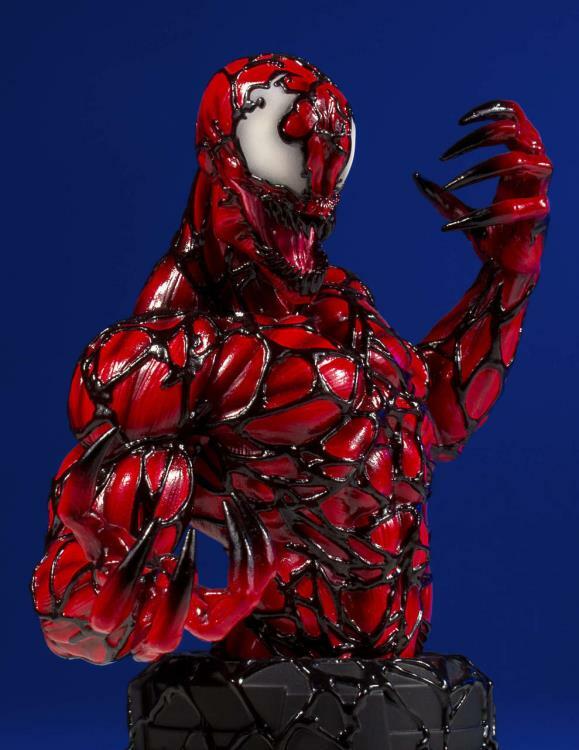 Carnage was once a serial killer known as Cletus Kasady, and became Carnage after merging with the offspring of the alien symbiote known as Venom during a prison breakout. 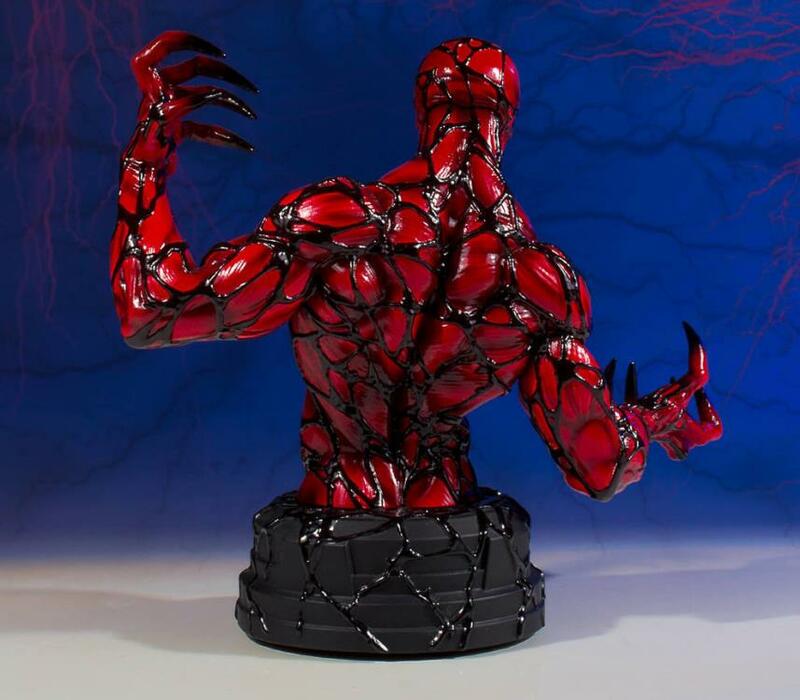 This new symbiote amplified Kasady’s psychotic nature making him even less mentally stable than he had been previously and therefore even more dangerous! 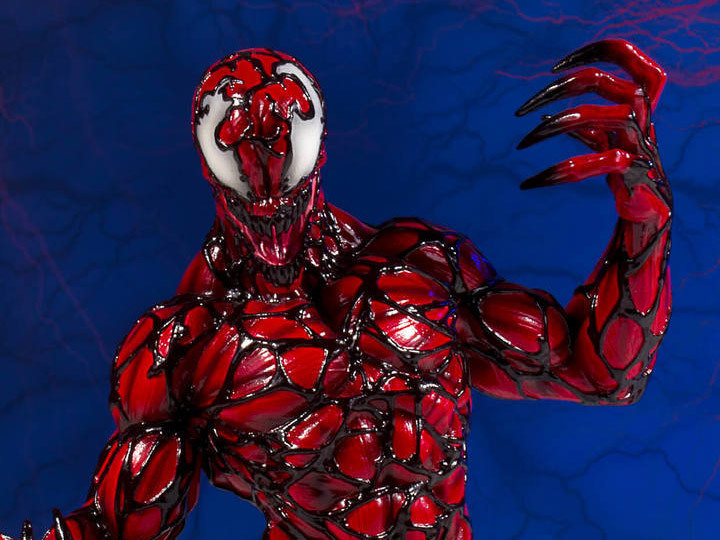 Since the alien symbiote adapts to the host's personality, the Carnage symbiote is affected by Kasady's insane mind and lust for destruction. 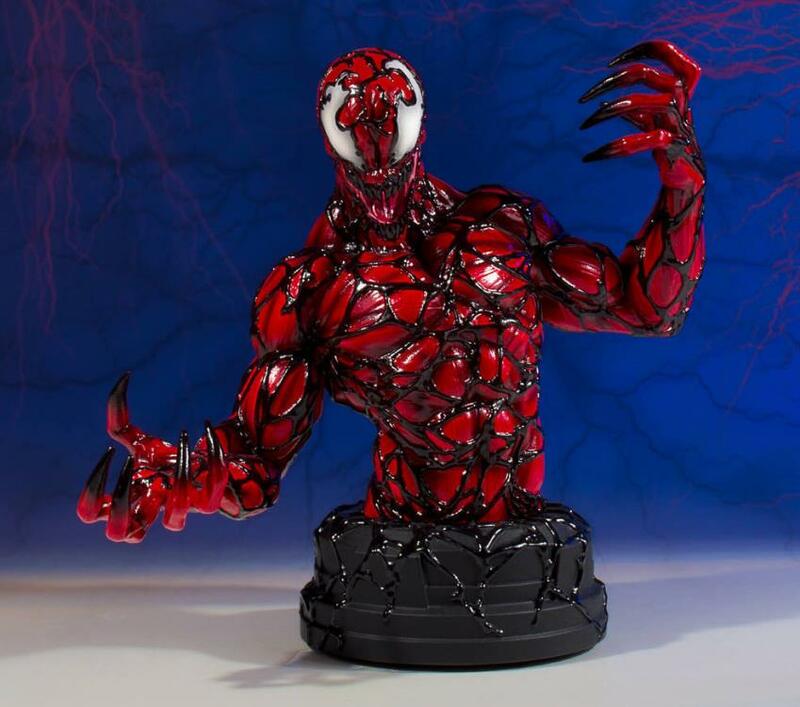 You do not want to meet Carnage in a dark alley… or a well-lit alley for that matter! 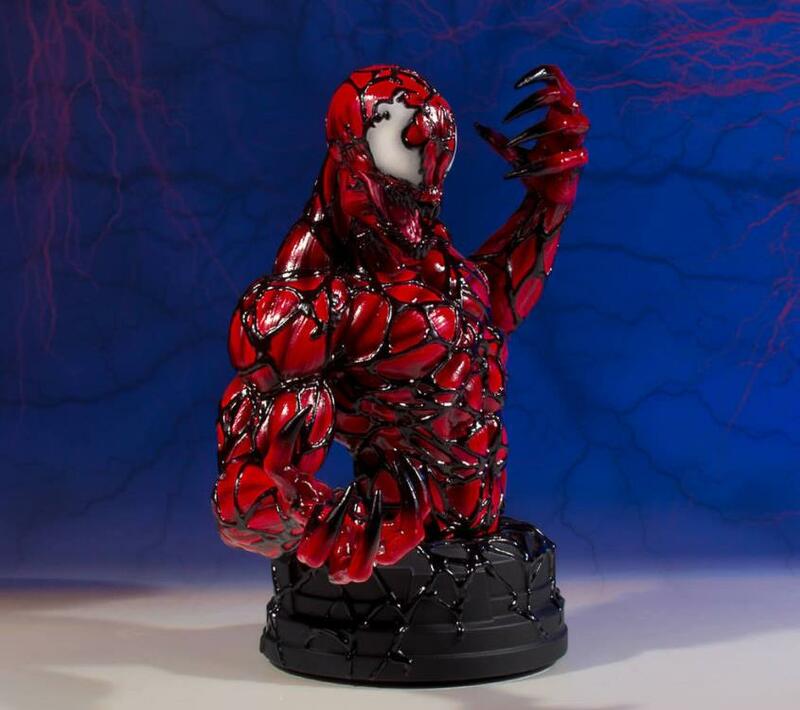 Sprung from the pages of Marvel comic books to the spotlight in your collection, this epic Carnage Mini Bust from Gentle Giant Ltd. is a must-have for any Webhead! 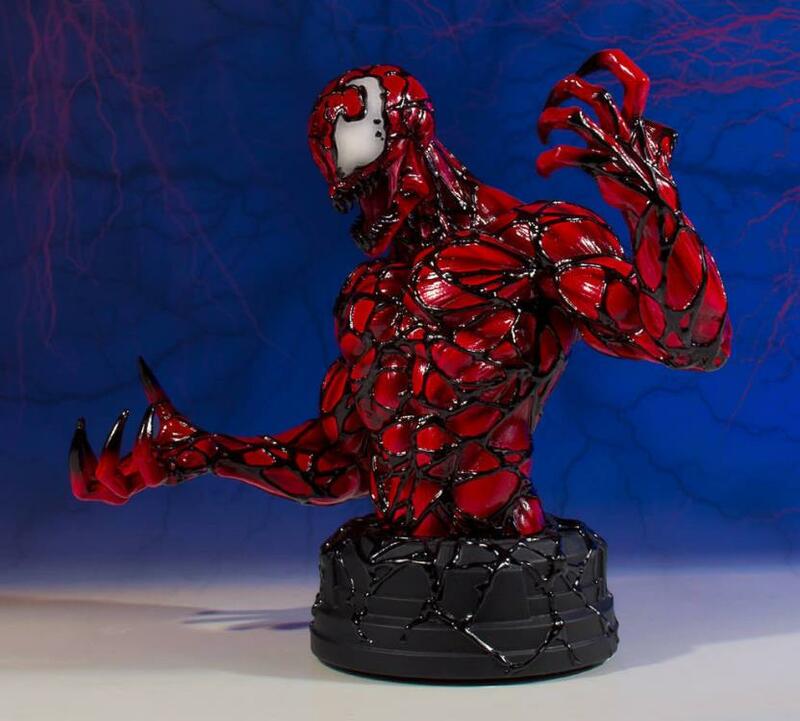 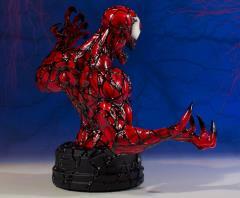 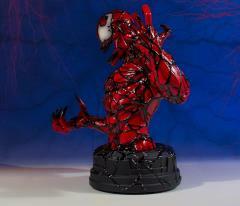 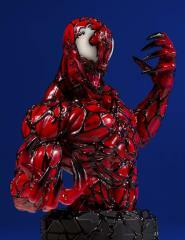 From Carnage’s inhumanly proportioned claws, to the razor-sharp points of each tooth in his mouth, to the slimy tendrils of the symbiote that is consuming everything, including the base - Gentle Giant artisans have left nothing out of this representation of this fan-favorite character. Cast in high quality polyresin and hand painted, this striking limited edition 1:6th scale bust is individually numbered and includes a matching Certificate of Authenticity.